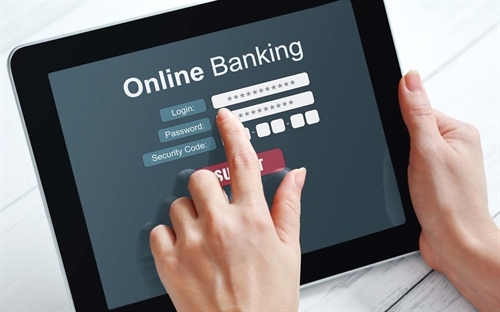 Information technology infrastructure facilities and equipment used for the internet banking service provision would be required to be copyrighted and of clear origin, according to a draft circular recently released by the State Bank of Vietnam (SBV). When they are no longer assisted by the manufacturers, or become outdated for installation of latest-version software, banks would have to make plans to upgrade or replace them as notified by the manufacturers. An internet banking service system must be graded as an important information technology system and comply with SBV’s regulations on assurance of safety and security of information technology systems in the banking sector. As required by the draft, internet banking service provision systems must be able to protect clients’ information, and ensure the integrity of clients’ transaction data. The draft circular also sets four specific limits on online transactions. As for individuals clients, the limit would be under VND 50 million for class-A transactions, under VND 200 million for class-B transactions, under VND 500 million for class-C transactions and VND 500 million or over for class-D transactions. For institutional clients, the limit for class-B, C or D transactions would be under VND 500 million, under VND 1.5 billion or over VND 1.5 billion, respectively.